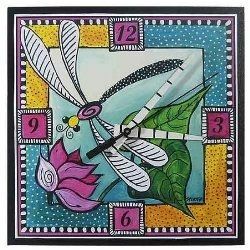 Wall clocks make great eye-catching focal points in a room and these dragonfly wall clocks are particularly attractive. There are hundreds of stunning wall clocks online and I've picked out a selection of my favorites to share with you. There are round and square clocks, photographic clocks and whimsical clocks and clocks in every conceivable color you can imagine so there is bound to be one to match your décor here. They may even inspire you to go ahead and create a whole dragonfly décor scheme is your home. I have lots of other pages to help you do that, so be sure to check them out too - the list is at the bottom of the page. 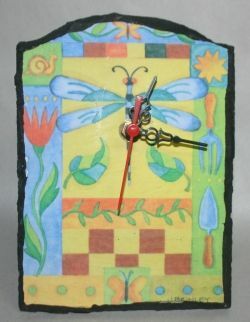 If you are shopping for yourself or looking for a gift for a friend or loved one - one of these great dragonfly wall clocks might be just the thing you are looking for. Scroll all the way through to enjoy a unique online shopping experience or use the Table of Contents to go to any section. Enjoy. You know how there is always one item that catches your eye when you are shopping? This is the one I latched onto when I went browsing for a dragonfly clock to add to my kitchen. Of course this one would fit in any room. There are several things that attracted me to this one and not just the price! I like the irregular slate material and the range of colors used on the face. As usual the accurate quartz movement runs on AA batteries and will obviously keep good time. I have to honest and say I would have liked this to be a bit bigger - it is only 5 inches wide by 7 inches long. But that said, it fits in very nicely. 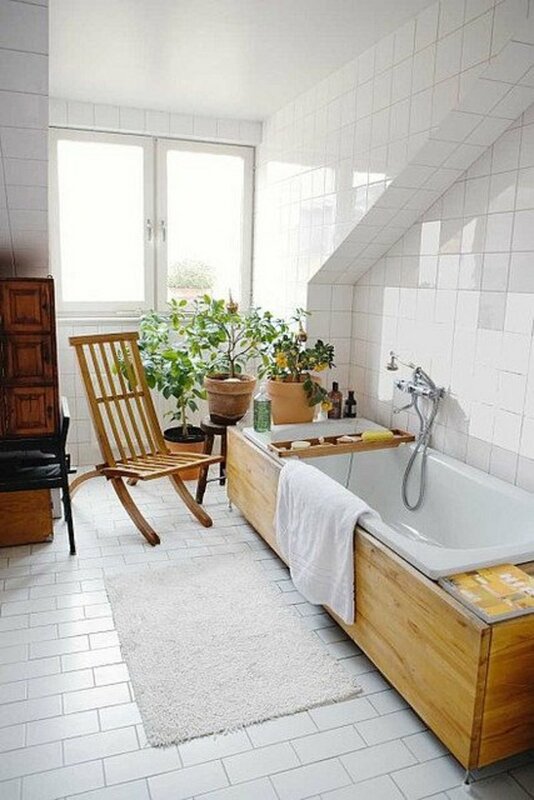 A clock doesn't have to be round or square - this funky design is one for the bathroom. It will hold its own as both a clock and an mirror and won't overshadow any of your other bathroom accessories. If you are looking for something to add charm to a rustic or country kitchen, this could well suit you. 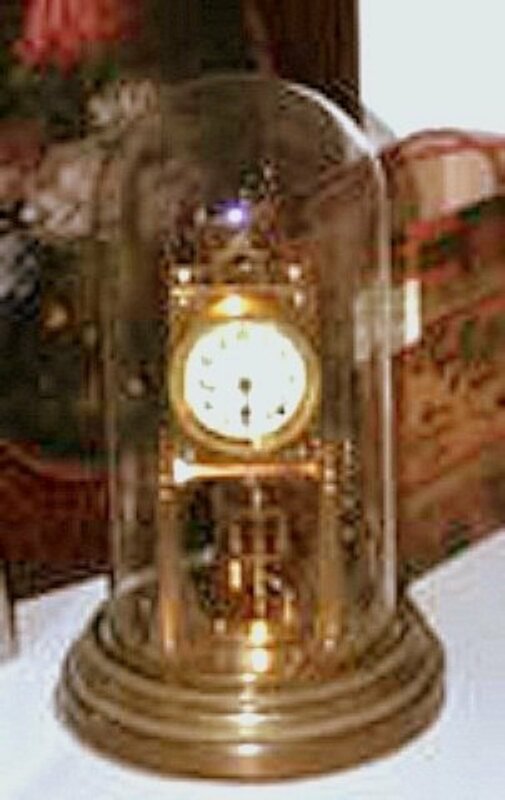 The Springfield Clock reminds me of a sundial - This quartz movement clock incorporates time and temperature with a thermometer built in. The detailed face is hand painted and the clock measures 12 inches in diameter. The mosaic inspired design on this clock makes it a little unusual, something I am always on the lookout for. This one is purple but you can also get it in a neutral beige with a light blue dragonfly. This might look great in a bathroom or kitchen where you can match it to your tiles and accessories. This is a delightful ethereal décor accent that I would love to have. I'm particularly fond of pastel colors and this would blend right into my bedroom. 3dRose DPP_79229_1 Gradient Dream Dragonflies- Vintage Art Wall Clock, 10 by 10"
This pretty clock is 10 inches square. It has a scratch resistant surface and a high gloss finish that is hard to resist. The gradient color and images just invites you in to join the dream. Suitable for any room in the house. Carrying on with the ethereal theme - dragonflies lend themselves so well to any magical inspired décor. Pick out one of these as a gift for anyone who lives in a magical world populated with dreams and mythical figures - or those who wish they were. These would look great in a themed bedroom. Choose one that matches the color scheme of the room, use the clock as a focal point and build your theme around it. magic! Just look at the selection here for inspiration - there is no lack of choice when it comes to color. Do you believe? As we grow up we lose some of the magic that is all around us as children - this little accent might remind you of those days. This precision quartz movement will fit in well with a red or white decor. I think what people love so much about dragonflies is how delicate they look - that and the huge range of colors they come in, makes them an ideal choice for decorating any room in the house. A look through any natural book, or even a surf on the internet, will show you something like 5000 different type of dragonflies. If you decide you would like to create a room with this theme that is where to start. Pick out one or more that you would like to make you main focus and go from there. Just as an example, I've chosen this gorgeous yellow-winged chaser to demonstrate what I mean. Image Credit: "Yellow-winged Darter Dragonfly" . This image is licensed under the Creative Commons Attribution-Share Alike 2.5 Generic license. What colors can you use? What colors do you see there you could use? I see - orange, pale orange, blue, green and a touch of rust red. Looking at the wings you could incorporate gray and, of course, anything echoes the flimsy, ethereal look of wings. In that respect I would probably use thin, lacey or net curtains in one of those colors. For my ideal bedroom, I would paint the walls in the pale orange and choose a darker orange carpet. For bedding I would pick out green with blue and rust throw pillows. Around the room I would blend all of these colors together with relevant accents. 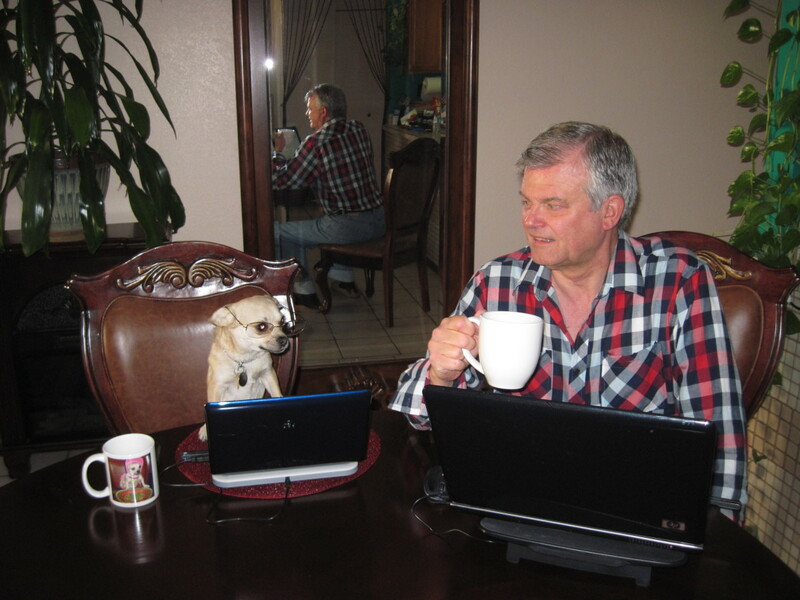 If you haven't come across Zazzle before, it is a print-on-demand site where artists and photographers use their work to create cards and gifts. 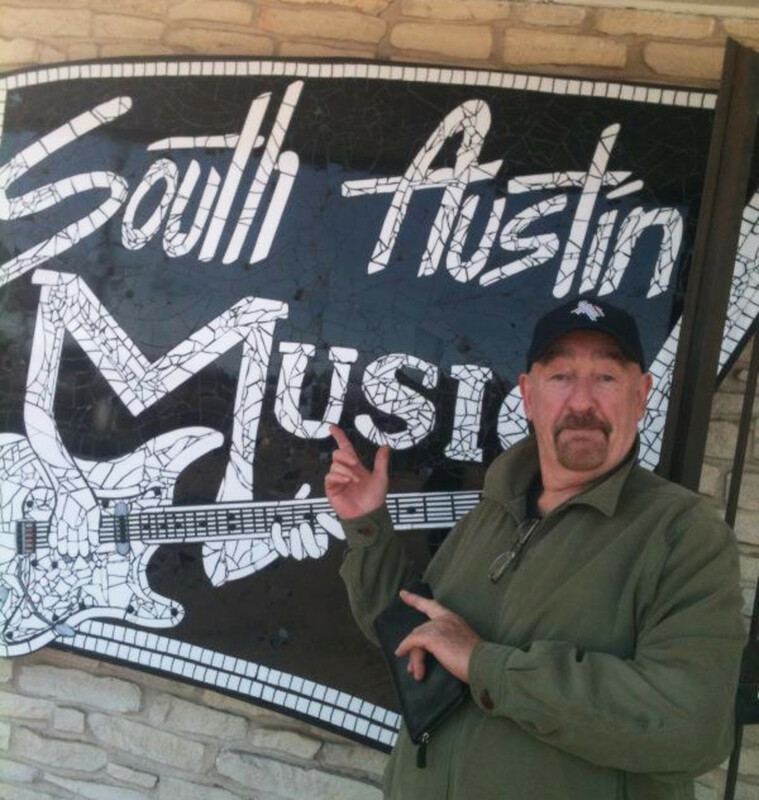 There is an amazing number of talented people to be found there. 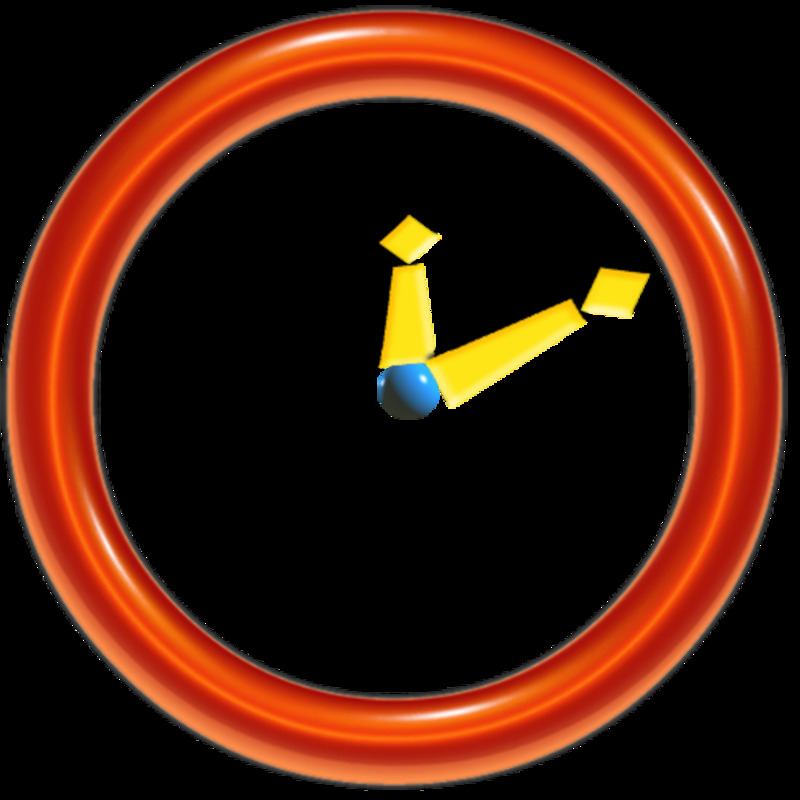 All wallclocks from Zazzle are very high quality clocks with silent quartz precision movement and the image printed with AcryliPrintÂ®HD. 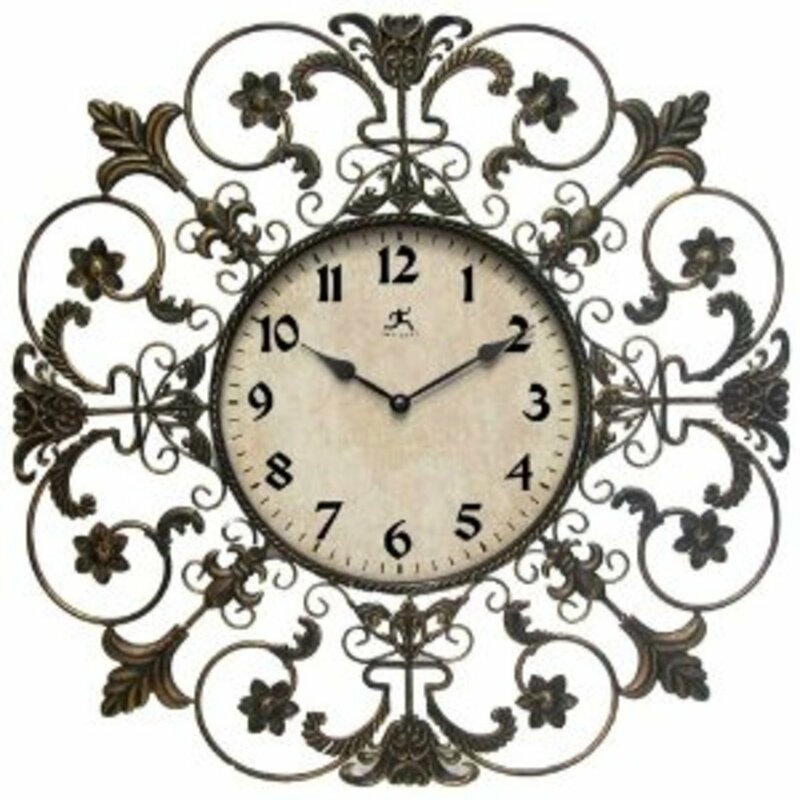 Each design is available as either medium or large round clocks or as square ones. They run on batteries. If you click on each you will find more details on each listing. On some of the designs you can actually personalize or customize your purchase. So if you want to have someone's name printed on the face - that is possible. I picked out a variety of colors here to give you plenty of choices. There should be one here that will fit in nicely with your home décor - or even better, one that will make a great gift for friends and family. These clocks will look fantastic and be truly appreciated by kids or adults who like a bit of fun in their lives. I have to confess, these all make me smile. 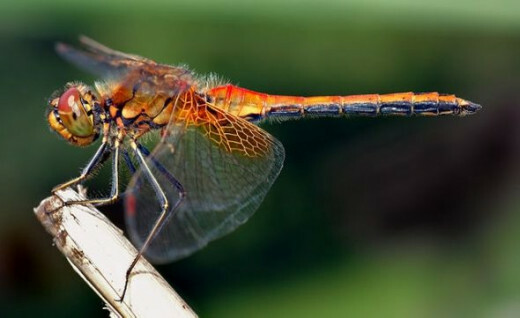 Fun facts about Dragonflies - how much to you know? They live very short lives - some as short as two weeks, some for 1-6 months. Like many insects, they have multifaceted eyes. They are the fastest flying insects. You will find them near water, often skimming the surface eating other insects. They are often confused with damselflies. Fossils of dragonflies have been found that are over 300 million years old. Despite having six legs, they cannot walk well. They live on smaller insects like mosquitoes and ants. Which dragonfly wall clock will you use to decorate your home?